Darker coloured syrup is suggested as healthier than lightly coloured syrup. Maple syrup is a classic natural sweetener that has been making a comeback recently as an alternative to refined sugar. 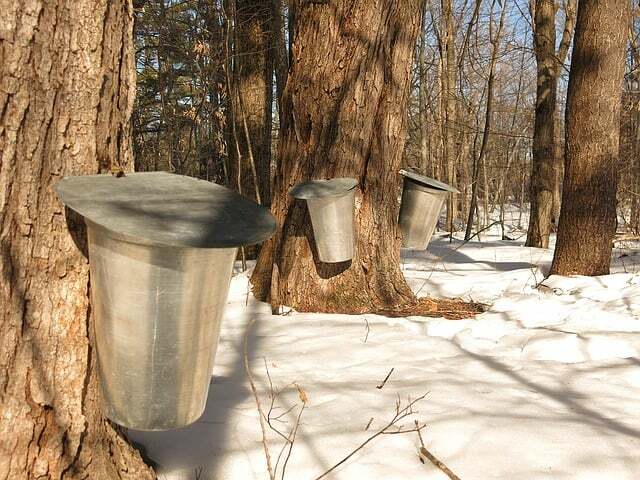 The syrup is tapped from different species of maple trees, with the Canadian province of Quebec being a top producer. Along with a rich and complex flavor, maple syrup offers an abundance of amino acids, manganese and zinc, as well as phenolic compounds, including lignans and coumarin. A new study called “Inhibitory effect of maple syrup on the cell growth and invasion of human colorectal cancer cells” was guided by Dr. Tetsushi Yamamoto, a molecular and cell biologist from the Faculty of Pharmacy at Kindai University in Osaka, Japan. The research evaluated the effect of three different types of maple syrup. The main objective was to identify if maple syrup could be used as a phytomedicine within cancer treatment. Dr. Yamamoto and his research team classified the different types of maple syrup according to colour, as well as cell proliferation, and migration and invasion capability for colorectal cell cancer (CRC). Results showed that CRC cells administered maple syrup showed lower rates of carcinogenic cells when compared with cells administered only sucrose. Additionally, the study suggests that maple syrup should not only be classified by its sugar content, but also according to its nutritional and physiochemical components. This study showed that maple syrup, particularly when coloured darker, might be suitable as a phytomedicine, which may offer a more gentle alternative to traditional chemotherapy. This outstanding revelation is in contrast to other studies, which support the idea that sugar perpetuates cancer and other chronic diseases. However, this disparity might concern diverse types of sugar, including sucrose, fructose and glucose. Also, sugar behaves differently when consumed in diverse nutritional contexts. In this context, researchers experimented with different sucrose concentrations, ranging from 0.1% to 10%. Results showed that only maple syrup with a 10% concentration of sucrose inhibited colorectal cancer cell growth. The study explained that this is because higher concentrations might have cytotoxic effects due to high osmotic pressure.